If you’re reading this, you know the best way to travel, to experience a country, its sights, its food, culture and people, is by motorcycle. And there might not be a better part of the world to experience by motorcycle than Croatia, the most amazing moto-destination you’ve (maybe) never heard of. A small nation nestled up to the Adriatic Sea (and close to Italy), it’s packed with amazing geography: white sand beaches; stunning cliffs and mountains; warm, sunny islands, and of course, thousands of miles of winding, well-maintained roads. Croatia presents an affordable – and unforgettable – moto-vacation opportunity, and Moto Tours Croatia wants to take you there. A Moto Tours Croatia rest stop near SENJ. Croatia’s roads are world-class: extensive, scenic, and well maintained. 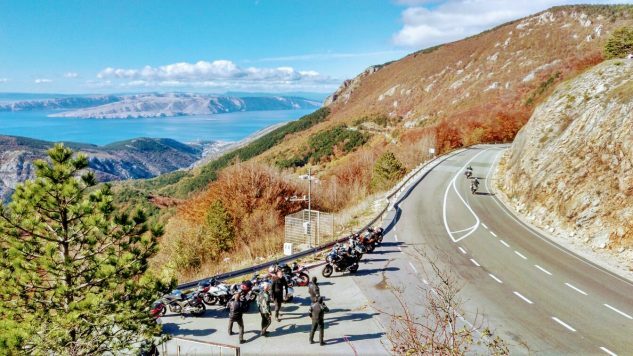 Moto Tours Croatia’s “Feel Croatia” tour is the best way to experience this amazing country. It’s a 1,700-mile, 13-day odyssey where almost everything you need– from motorcycle to meals – is included. Wherever the route takes you, be it through one of Croatia’s eight national parks, along the sea, through the mountainous hinterlands, or cobblestone streets of historic cities like Zadar and Dubrovnik, you will feel the charm, history, warmth and hospitality of Croatia. Your guides will meet you at the airport provide you with the latest and best in adventure-touring rides, like the BMW F850GS, R1200GS and KTM 1090 Adventure, all equipped with locking hard luggage. Ride to eat and eat to ride, right? Moto Tours Croatia founder Robert Vrabec agrees. 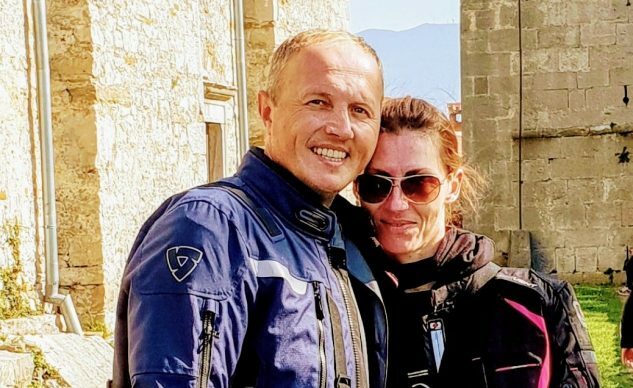 He and his wife Andrea have 20 years of motorcycle touring experience and practice the art of what they call “autochthonous gastronomy.” Croatians love good food and hospitality, and Moto Tours Croatia has carefully curated its trips, allowing you to enjoy some of the best dining and wine Europe has to offer. Dinner and breakfast are all included in the Feel Croatia tour (also on rest days); you are free to explore and discover lunch on your own. Accommodations are also carefully selected to give you the best balance between comfort and experiencing local culture, with four-star hotels and apartments. 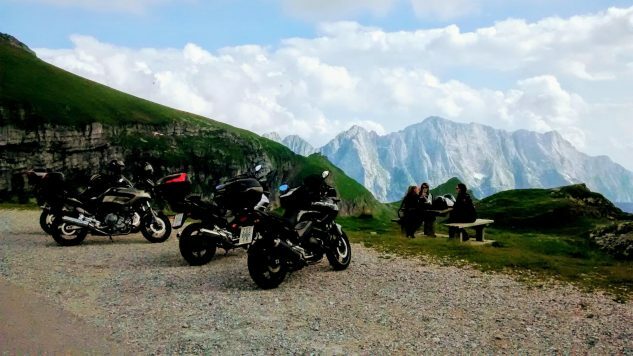 No, it’s not the Alps: Moto Tours Croatia guests enjoying Croatia’s scenic beauty. Want to experience something different, off the beaten path, but with world-class roads, food and accommodation, and the personal touch of an experienced family-run business that’s obsessive about making sure every last detail has been taken care of? The Moto Tours Croatia, Feel Croatia tour may be your opportunity of a lifetime. 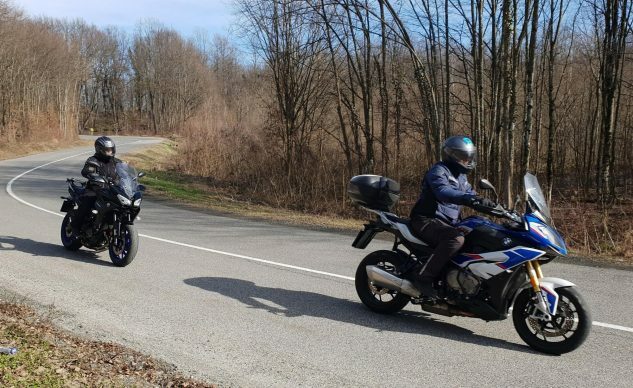 Robert and Andrea Vrabec have been riding for 20 years and love sharing their country’s exciting roads and scenic beauty with their guests. 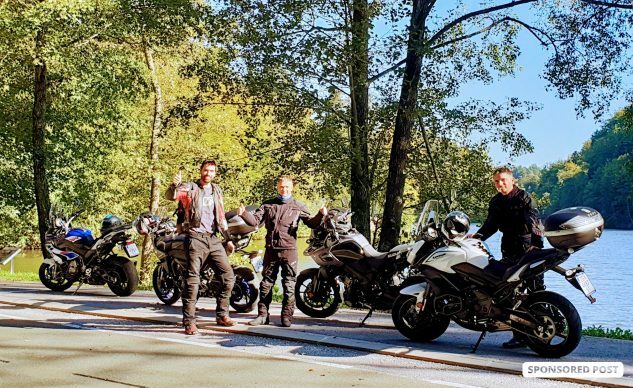 Moto Tours Croatia maintains a fleet of late-model bikes for its guests.